Available exclusively at during the NBA's All-Star weekend, 2012-13 Panini NBA Jam Session Basketball is a series of promo sets that showcases some of the game's biggest stars and rookies. Panini produced three different sets for the 2012-13 NBA Jam Session in Houston. For every $10 spent on Panini products at the on-site NBA store, collectors received one six-card set. 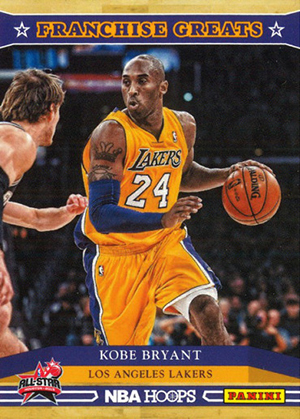 Franchise Greats is primarily veterans including Panini spokesmen Kobe Bryant, Kevin Durant and Blake Griffin. Rounding out the group are Deron Williams, James Harden and Rockets legend, Hakeem Olajuwon. Franchise Greats uses the NBA Hoops theme. 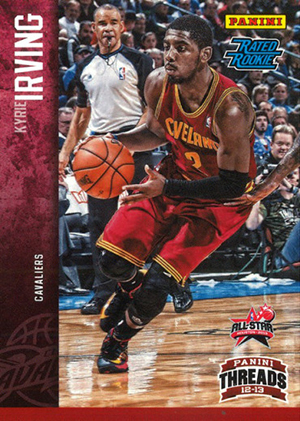 2011-12 Rookie Stars and 2012-13 Rookie Stars spotlight young standouts, including Kyrie Irving and Anthony Davis. Both of these sets have the Panini Threads logo. 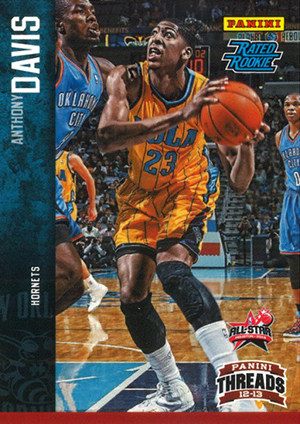 2012-13 Panini NBA Jam Session Basketball also has nine NBA All-Star Game Patch Cards. 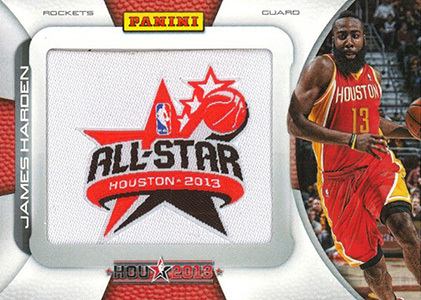 These horizontal cards have a manufactured patch with the 2013 NBA All-Star Game logo on them. Collectors got one for every $25 they spent on NBA products at the show. 6 cards. One of three sets given for every $10 spent on Panini products at the 2012-13 NBA Jam Session. 9 cards. One given for every $25 spent on Panini products at the 2012-13 NBA Jam Session.